Perth's Parkrun is a whole lot of fun! It’s that time of year when many of us have only recently awakened from a mince pie-induced coma. We leave our centrally-heated living rooms, reluctantly, to throw our festive debris into the bottle-bank with a resounding crash. But the new year can also bring us a fresh determination to achieve our goals. It’s a great time to start making some positive changes, and if one of your aims is a fitter and healthier lifestyle, the answer may be right on your doorstep. Parkrun is a 5 kilometre run, held weekly, in numerous locations around the world. 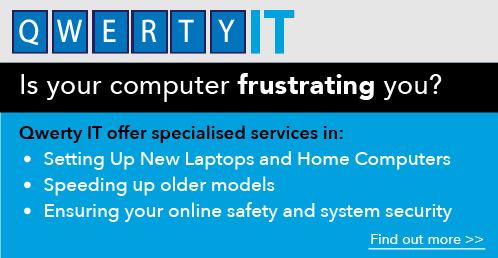 It’s free to take part, and open to everyone. Parkrun welcomes runners of all ages and abilities, from absolute beginners to ambitious athletes. The popularity of Parkrun has grown and grown since its inception in 2004, and its worldwide membership now numbers in the millions. And the statistic I love the most about Parkrun? The average time it takes to complete the run has actually increased – this means that more and more novice runners are giving it a go. In Perth we are lucky enough to have our very own Parkrun. 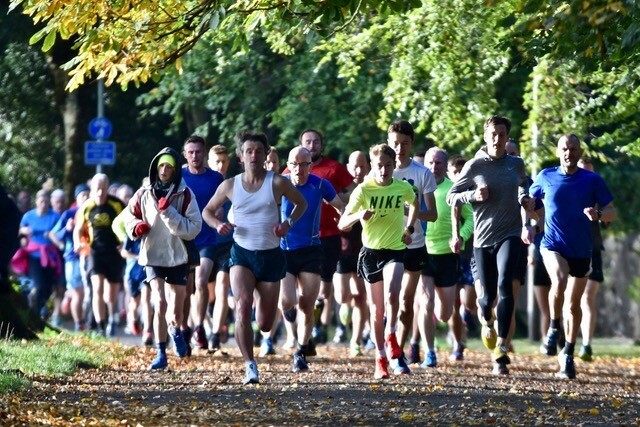 It’s held every Saturday morning at 9.30am, beginning and ending on the North Inch, and it’s friendly, inclusive and relaxed. If you’ve ever thought about taking up running, but weren’t sure where to start, Parkrun is ideal. The Perth course is a runner’s dream: a stunning route along the side of the Tay and back again, and almost completely flat. I kid you not – there isn’t a single incline steeper than a gentle brae. The Perth course is a runner’s dream. Perth Parkrun began in November 2013 and I first ran it a few weeks later. I was quickly hooked, and I’ve been a Parkrunner ever since. You must register before your first run, and bring along your personal barcode to be scanned at the finish line. After each Parkrun you are notified of the time it took you to complete the course. And this is the beauty of Parkrun: you are not racing against competitors, but running for yourself. Covering the same distance each week allows you to monitor your own progress towards your fitness goals. I enjoy trying to beat my best time, but I know that my performance has varied widely over the years. Every runner’s Parkrun journey is personal; I have seen my own weekly times reduce with hard work, and rise as I recovered from illness, and wobbled my way through pregnancy. Parkrun awards no prizes to the fastest runner, although I imagine that seeing your name at the top of the list would be quite a thrill. But it does reward continued attendance with a free t-shirt upon completion of 50 runs, then 100, and even 250. As someone whose sporting ventures in my younger days were enthusiastic, but not accomplished, I value taking part in an event where simply turning up and having a go is rated so highly. You can, in fact, simply walk the Parkrun route, and if you’re brand new to running this is an excellent way to start. You might also find it helpful to join a local ‘couch to 5k’ group for additional support and encouragement. Perth Parkrun has a lovely, community feel to it. Perth Parkrun has a lovely, community feel to it. Some people attend alone, some run with their pals. You’re welcome to join your fellow runners for a rejuvenating post-run coffee at Bell’s Sports Centre Café. You can bring your dog to Parkrun (on a short lead), your baby (in a buggy), and your kids (within arm’s reach). 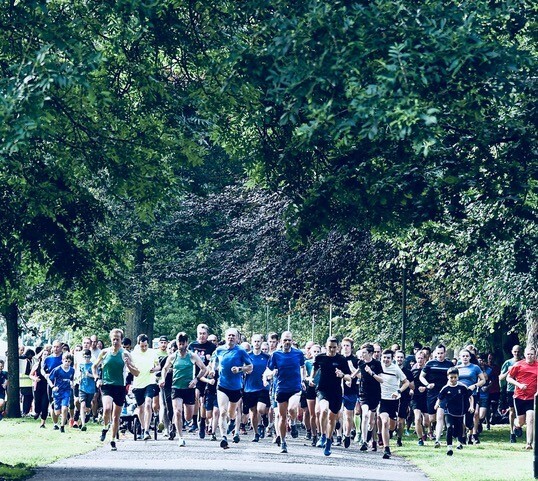 In addition, Perth hosts a Junior Parkrun, held every Sunday morning on the South Inch, for children between 4 and 14 years old. This is a 2 kilometre run that they can complete unaccompanied. Full details about Perth Parkrun are available here http://www.parkrun.org.uk/perth. Don’t worry about being last! This is sometimes a concern for new runners, but I absolutely promise that you won’t be last. A volunteer is ‘tailwalker’ each week and it’s their job to be last. It’s worth remembering that every single runner was a beginner once, even those speedy folk at the front. Don’t set off too quickly. It’s so tempting to bolt away from the start line when you’re fresh and full of energy, but you don’t want to lose your oomph half-way round. Set yourself a steady, realistic pace, and keep a little back for your sprint finish! Don’t compare your times with other people’s. It’s worth remembering an old Parkrun adage: ‘It’s a run, not a race!’. But do keep an eye on the progression of your own times, it will galvanise you into doing your best. Don’t forget your barcode. There’s nothing more frustrating than finishing a great run and finding out that you’ve forgotten your barcode. No barcode means you don’t receive a time. Do volunteer. Perth Parkrun is entirely organized by volunteers and without those volunteers, it wouldn’t happen. Anyone can volunteer; it’s easy, and fun. You can find out how to get involved on the Perth Parkrun website. Do invest in a good pair of running shoes. Dressing comfortably and having appropriate footwear will make your run more enjoyable and protect you from injury. Good retailers offer an expert shoe fitting service and will advise which shoes best suit your own running style. Do respect other park users. Parkrun participants do not have sole use of the paths we run on, and other people wish to enjoy the park also. Be watchful for dog-walkers and cyclists, and give them plenty of space. Do make a habit of it – it may sometimes feel like an effort, but regular attendance at Perth Parkrun will do wonders for your health, both physical and mental. I’ll see you there!